Guests get the opportunity to become an archaeologist during these four special expeditions! Discovery Science Center (DSC) is excited to present “Race Around the Globe” adventure weekends during the months of February and March, 2013. Do you have what it takes to be an archaeologist? If so, grab your Adventure Passport and join other young explorers as you “Race Around the Globe” on four special expeditions at DSC. Get an exclusive Adventure Passport on the days below and complete a new expedition each weekend. The more expeditions you complete, the more prizes you earn! 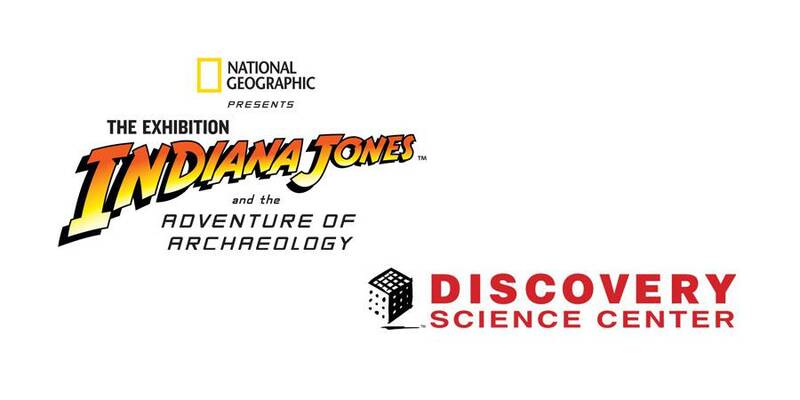 Also, don’t forget to explore Indiana Jones™ and the Adventure of Archaeology: The Exhibition only at Discovery Science Center through April 21, 2013. Whip It! – Every junior archaeologist needs a whip; you never know when you will need to fight off a railway car full of lions! Make your very own whip out of duct tape to take home with you. Think like an Egyptian – Egyptians solved mathematical puzzles and figured out how to build pyramids. Can you think like an Egyptian and solve brainteaser puzzles? Target Practice – Practice your aim by hitting a target using air cannons. Streets of Cairo – Overcome your fear as you meet and greet slithering snakes and their friends. Even take your photo with them! Snake Charming – Do snakes blink? Why do they shed their skin? Learn about the anatomy of snakes with this make and take snake activity. Good Eats – Archaeologists travel the globe and often find themselves eating anything from frog legs to pig ears and even monkey brains. Do you eat with your eyes or your mouth? Map Reading – Do you know how to read a map or use a compass to find your way? Learn how with this interactive station. Navigational Tools – Test your map reading and compass skills and navigate from point A to point B. The Runway – If you had to make a quick getaway, could you take off in and land a plane? Learn how in this make-and-take station. Rituals and Musical Instruments – What are rituals and how are musical instruments used in rituals around the world? Make your own musical instrument and perform in a band. Archaeology and Artifacts – Meet an archaeologist and explore their world and even get the chance to participate in artifact recovery. Secrets of the Mayans – Can you read an ancient language? Decode symbols from the past in this discovery station. “Race Around the Globe” activities are included with general admission. Indiana Jones and the Adventure of Archaeology: The Exhibit is a separate charge on top of general admission. More information can be found at www.discoverycube.org. Imaginations run wild through more than 100 hands-on exhibits at the Taco Bell Discovery Science Center, Orange County’s leading destination for hands-on science fun. Take the Eco Challenge and become a green superhero, feel the power of a real rocket engine “launch”, explore the inner workings of a two-story tall dinosaur and try your best slap shot against the Anaheim Duck’s goalie! Traveling exhibits and annual events such as Spooky Science and Bubblefest ensure that there is always something new to discover. 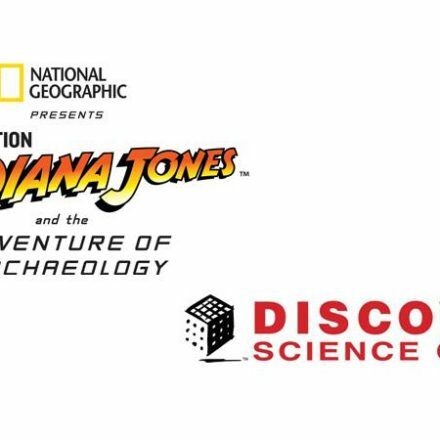 Currently on display is Indiana Jones and the Adventure of Archaeology, an interactive exhibit experience following Dr. Jones through the four famous films. Since 1998, Discovery Science Center has been a non-profit organization dedicated to educating young minds, assisting teachers and increasing public understanding of science, math and technology through interactive exhibits and programs. Open daily from 10am – 5pm. For further information, call us at (714) 542-CUBE or visit us online www.discoverycube.org.